In addition to its high costs, the plan also doesn’t deliver adequate retirement benefits for all teachers. According to the state’s own actuarial estimates, nearly half of all new teachers will not qualify for a pension at all because they will change careers or move before meeting the plan’s five-year vesting requirements. Due to the back-loaded nature of the plan’s benefit formula, just one percent of teachers will stay in the classroom long enough to earn the maximum retirement benefit. The issues with the Louisiana’s pension system stem from years of irresponsible budgeting practices. 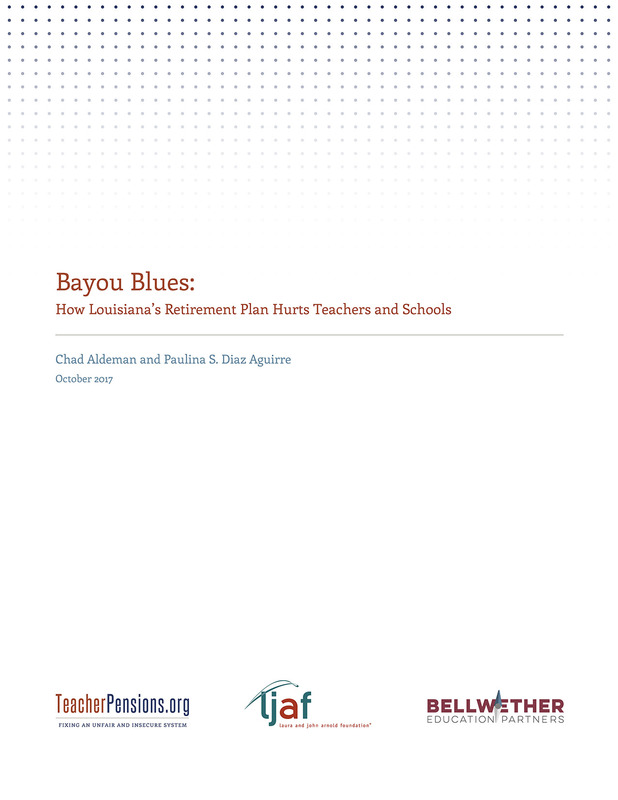 Louisiana state policymakers — not educators — are responsible for the system’s large and growing unfunded liabilities, but today’s teachers are the ones paying the price for politicians’ past mistakes.